Visit The Capital City Of South Africa. 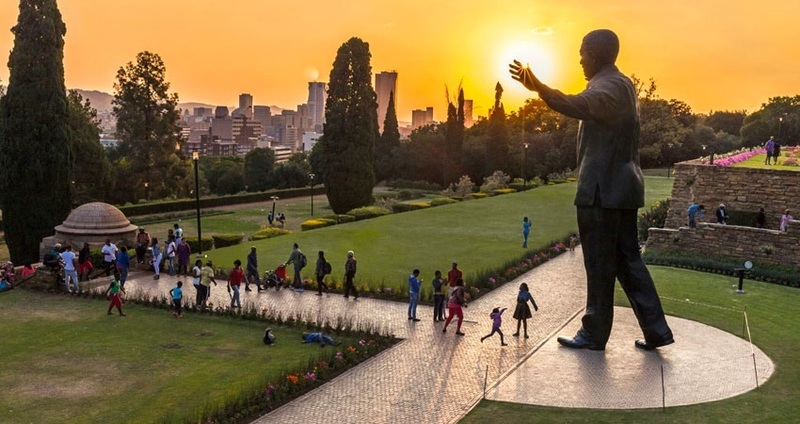 Visit the capital city of South Africa, see the Voortrekker Monument, Kruger House, drive to Church Square and and have photos opportunity at Kruger Statue. Drive to the Union Buildings here there’s office of the president of Republic of South Africa. Quick Facts: Departs Saturday & Sundays (except 16 & 25 Dec) Johannesburg hotels ±8h00 | Ends ±15h00 | Duration ± 8 hrs | Includes lunch | English Commentary only. Pretoria is the administrative capital city of South Africa, als known as ‘The Jacaranda City’, for its thousands purple lined streets when the jacaranda trees are in colorful blossoming. It is also home to universities and government buildings. This tour include Freedom Park Heritage Museum – the museum includes a list of the names of those who killed in the South African wars, Voortrekker Monumen – the most visited heritage site in Tshwane, Union Building This area houses the offices of the President of South Africa and we will visit the City Hall where tour ends. You’ll be transferred back to your hotel or picked up point.